Congratulations to this week's Red Devils of the Week! Allie has been an outstanding captain and leader of the girls’ swim team. Additionally, Allie has helped the medley relay qualify for the sectional swim meet. Congratulations Allie! a hardworking sophomore who has worked herself to be our consistent 5th runner and scorer. She continues to improve with each race. Amber is a senior on the girls swim team. 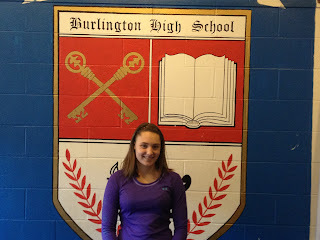 She is a hard-worker who has helped three relays to qualify for sectionals. She is the teams only diver and is a leader on the team.